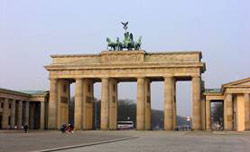 World War 2 History Memorial Tours. Humbly following in the footsteps of yesterday heroes. PLEASE NOTE WE ARE NOT FOR THE TIME BEING UNDERTAKING ANY FURTHER TOURS. FEEL FREE TO USE TIHIS SITE AS AN INFORMATION RESOURCE. Forgive our indulgence! Here we were at the British Club Singapore 2011. Video showing our veterans group enjoying their afternoon on the clubs rooftop gardens. A private party given exclusively in their honour. Well done to our brilliant marketing department for all of this-and much more.-'Their motto "If you don't ask you don't get'! Apologies that a small segment has slipped off the end of this video. Click here for full details of the tour. You have now reached a place which we can say (without a shred of immodesty) we do "one-offs!" We revel in creating new themes-instead of tediously replicating others hard work and initiative. 1992. 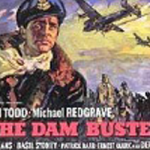 Offered a totally untried Dam busters tour to the Mohne Dams. 2011. We began offering theme tours (Prague) covering the "Reinhardt Heydrich" assassination. Today there are at least 10 tour companies currently featuring the Dams as well as Prague-Heydrich. Ironically, when we first offered these tours neither actually proved very popular! Listen here to John interviewed on BBC radio. Prague, the tours take in the assassination of Heydrich. We retrace his final journey, followed by the church where the commando’s executed their suicide. We also visit the towns of Lidice, Terezin, Brnenec. 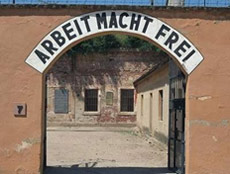 Tour covers a number German concentration camps.As well as sightseeing in Berlin. Another exciting european tour commemorating the famous 617 squadron. Tour of several UK's memorials, air bases, and more. Scampton, Fiskerton, Coningsby, Lincolnshire Aviation Heritage, Duxford, Bassingbourn, Maddingley, Thurleigh,Twinwwood farm –Glen Miller!! Tempsford (if we can gain permission), Shuttleworth Collection. RAF Museum Hendon. 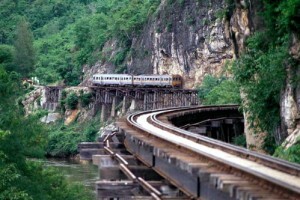 Exciting tour dedicated to far east battlegrounds and memorial sites, trips include in Singapore and Bangkok. Violette Sazbo SOE. George Cross. Croix Du Guerre. We follow the story of Violette from where she was born in Brixton throught to the location of her very last departure from uk and on into France-where she landed and subsequently held in Paris. 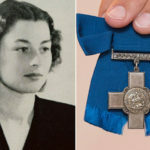 Her exceptional bravery immortalised in the film 'Carve Her Name With Pride' needs no introduction. Tour includes starts in UK and then on to France. Optional German sector. 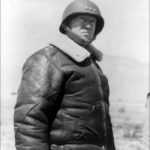 George S. Patton 3rd Army 8th Armoured divisions liberation of Western Czechoslovakia. Culminating May 2017: May 5 – 8 Liberation Festival (numbers permitting). 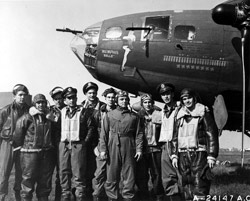 To learn more about our World War 2 history memorial tours why not drop us a line.